Wolfpack Performing Arts Senior Wins Best Actress Award and will Represent the Northern California Region in NYC! 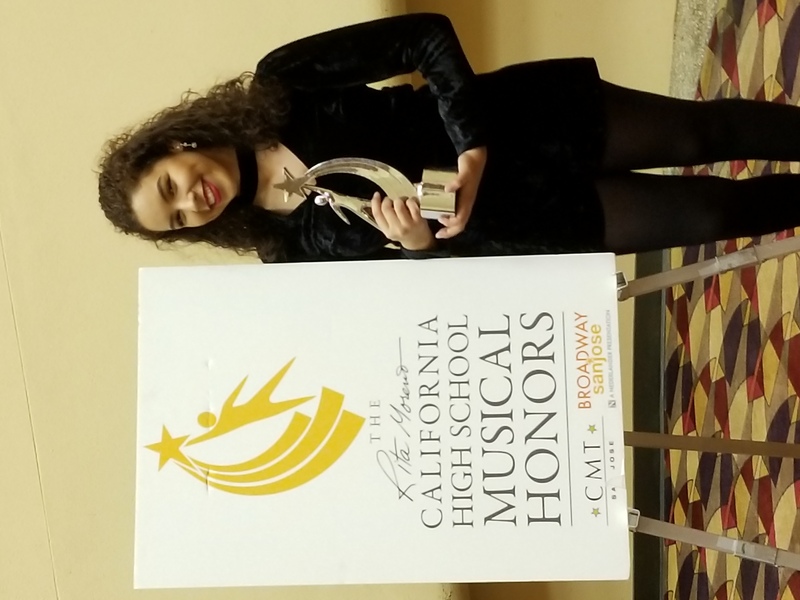 San Jose, CA – (May 22, 2018) Yesterday, Senior Veronica Ballejos represented COHS and EGUSD at the Rita Moreno Awards and won Best Actress and an opportunity to compete at The Jimmys National High School Theatre Awards. On May 1st, it was announced that she was nominated for Best Actress by the Rita Moreno California High School Musical Honors for her role as Millie in Thoroughly Modern Millie. On the morning of the 21st, Veronica auditioned for a panel of Broadway professionals. That evening, she performed an excerpt of the song “Gimmie Gimmie” from Thoroughly Modern Millie in a medley with the five other nominees in her category. 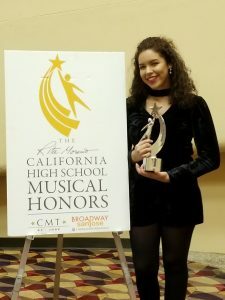 Immediately following the performance, it was announced that Veronica was the winner, and she would spend 10 days in New York City training with professionals with the Jimmy Awards as the culminating event. Veronica “Vero” Ballejos has been a resident artist with WPA for the past four years. Her theatrical credits include: Beauty and the Beast (Ensemble), Hairspray (Judine), A Midsummer Night’s Dream (Titania), Much Ado About Nothing (Beatrice), and Thoroughly Modern Millie (Millie). She is also a four year member of the WPA Vocal Music Program, and she will graduate from the VAPA Pathway as a vocal music major. Vero is attending Sac City with plans to transfer into the theater program at Southern Oregon University in Ashland, OR. This was the first time that Wolfpack Performing Arts participated in the Rita Moreno Awards. Wolfpack Performing Arts is the award winning company of Cosumnes Oaks High School and Elizabeth Pinkerton Middle School. Each year, the company produces four instrumental and vocal concert series, a mainstage dance production (HYPE Dance Co), and four mainstage theatrical productions each year. Our company strives to provide students with a professional experience in the performing arts. To achieve this goal, WPA employs professional teaching artists who serve as directors, choreographers, and musicians during our musical season. Our company is one of the few companies in the region that continue to perform musicals with a full, live orchestra of 25+ members.